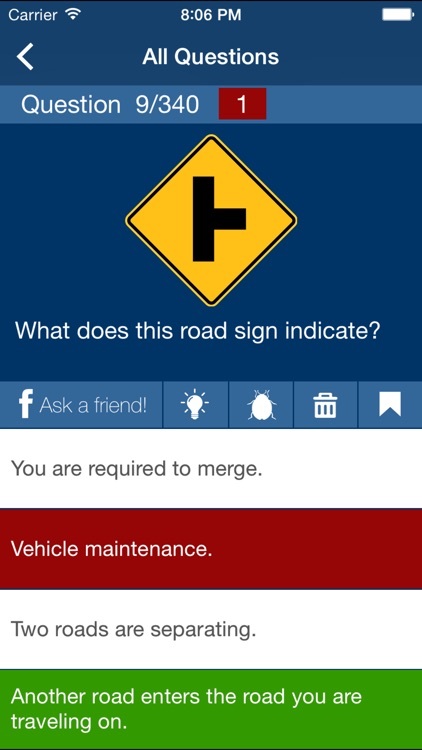 Data is extracted from the official California DMV Manual. 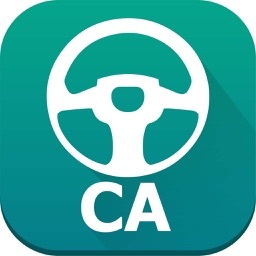 Would you like to use just a couple of hours practicing and still pass your California DMV Test on the first attempt? 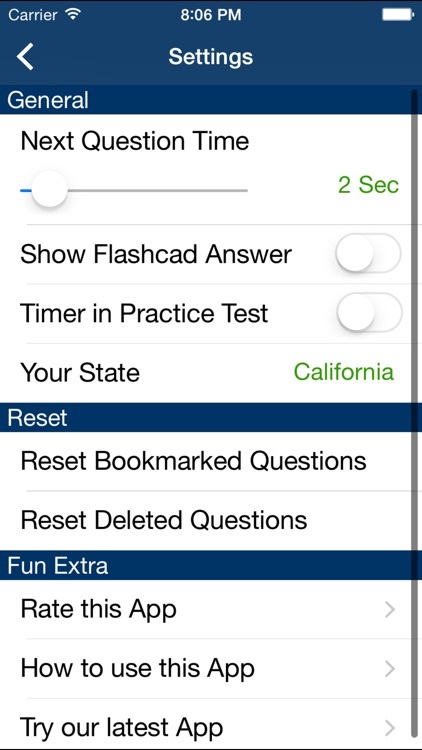 This application is professionally composed explicitly for the State of California DMV exam. 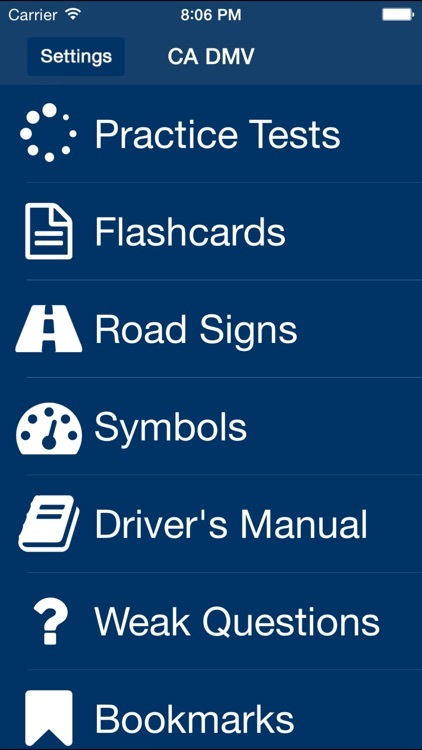 All the practice questions are dependent upon the most recent California DMV Driver's Manual. Don't squander time and cash composing the California DMV Test over and over. Study for your California DMV Test at this time on your iPhone/iPod and iPad! 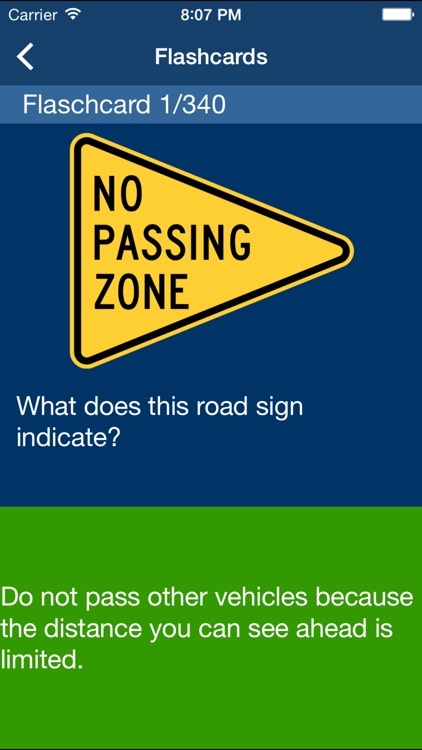 - Over 360 California DMV test practice questions incorporating 100+ Traffic Signs. 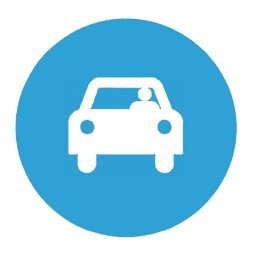 - Dashboard Symbols – Know all about your vehicles dashboard symbols. 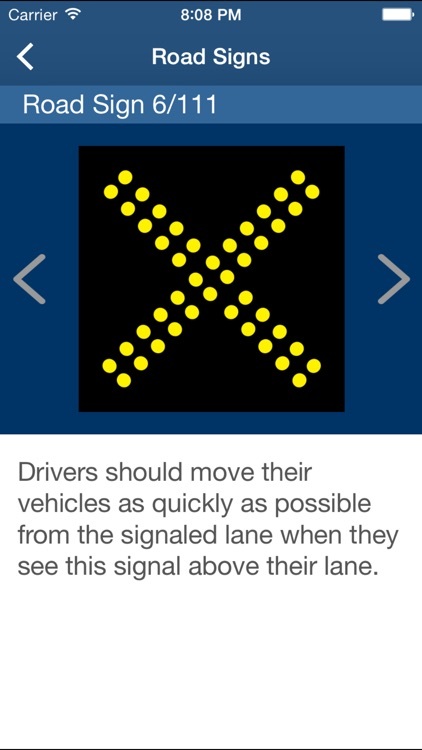 - Keen Timer - An Intelligent timer will stop when you put the application to rest. - Top Scorers – Compare your score with Top 5 Scorers of your state. - Questions / Answers are shuffled randomly, you will never get the same test. 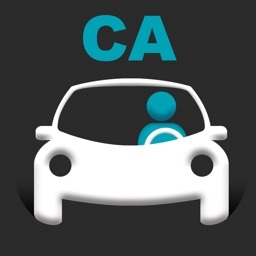 - Easiest approach to begin with your California driver's permit test. - Readout California DMV Driver’s Manual in Pdf format.